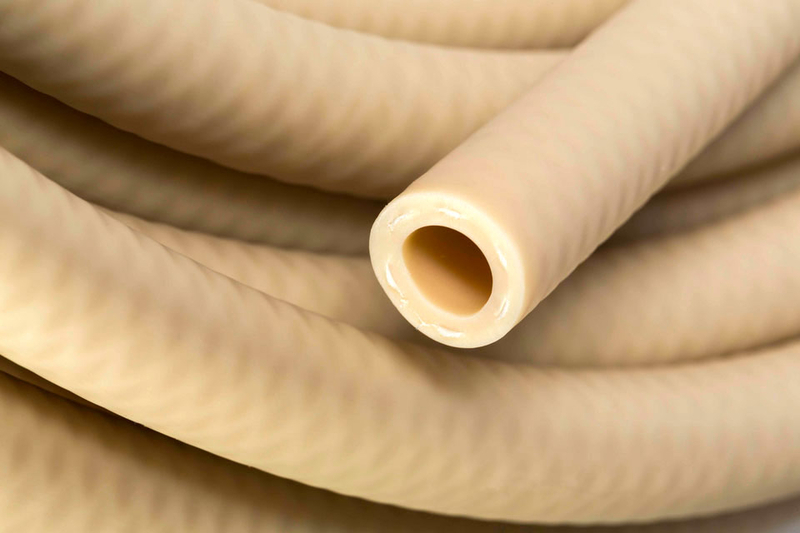 Looking for flexible tubing that can take the pressure, heat and cold? This tubing has it all! It comes with an additional reinforcement embedded within its walls to withstand elevated pressure. Formulated to withstand extreme temperatures from -75°F to 275°F, this tubing will not crack or deteriorate when used in demanding food and beverage applications. This tubing provides resistance to many harsh food media, including some animal and vegetable oils. It has excellent acid and alkali resistance, and is compatible with numerous oxidizing agents such as peroxide, hypochlorite and ozone. It also is ideal for use in clean-in-place and steam-in-place cleaning and sterilization systems. It is compatible with virtually all commercial cleaners and sanitizers and can be repeatedly autoclaved for up to five cycle times without affecting its overall service life.